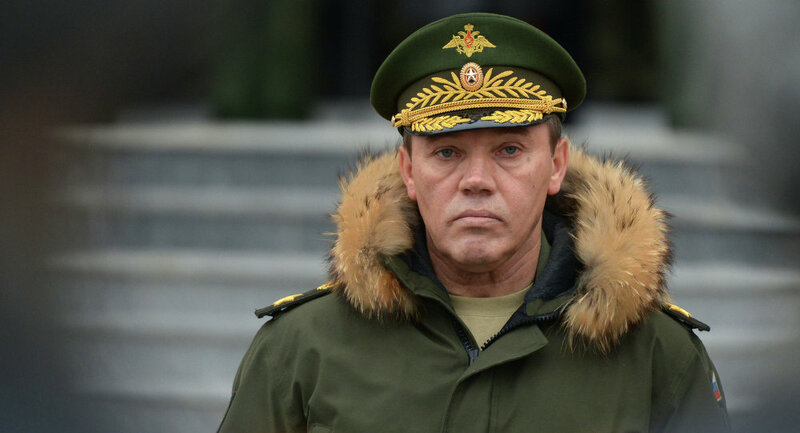 Chief of the General Staff, Gen. Valery Gerasimov stated that the strengthening of Russia's nuclear triad will be the top priority for the Russian Armed Forces next year. MOSCOW, December 29 (Sputnik) — The strengthening of Russia's nuclear triad will be the top priority for the Russian Armed Forces next year, Chief of the General Staff, Gen. Valery Gerasimov, said on Monday. "The readiness and development of strategic nuclear forces will be the main priority," Gerasimov said in an interview with the Rossiya-24 television. Russian President Vladimir Putin said on December 19 that the Russian strategic nuclear forces will receive more than 50 ICBMs in 2015. Putin also reaffirmed plans to modernize the fleet of Russian strategic bombers and nuclear-powered submarines. According to the new Russian military doctrine signed by Putin Friday, Moscow reserves the right to use nuclear weapons in response to the use of nuclear weapons or any other types of weapons of mass destruction against Russia or its allies, as well as in the case of an attack with conventional weaponry that threatens the very existence of the state.